Devotees of Peter Drucker's The Five Most Important Questions will find practical examples and well researched and vivid examples of organizations that benefit from a 'mission accomplishment' approach to performance. Sheehan's new work will help each of us in the social sector to define and achieve Mission Impact and change lives. With more than 30 years of executive management experience, including 18 years as the CEO of two different national nonprofits, Rob uniquely blends in-the-trenches experience with extensive academic research. To the non-profit world, he brings a practical perspective on strategy while applying cutting-edge concepts—such as strategic intent and systems thinking—that are used primarily in the corporate world. As Principal of Sheehan Nonprofit Consulting, Rob provides consulting services in strategy development and implementation, leadership and teamwork development, board development, and succession planning for nonprofits and government entities. He also serves as Academic Director of the Executive MBA program at the Robert H. Smith School of Business at the University of Maryland-College Park. 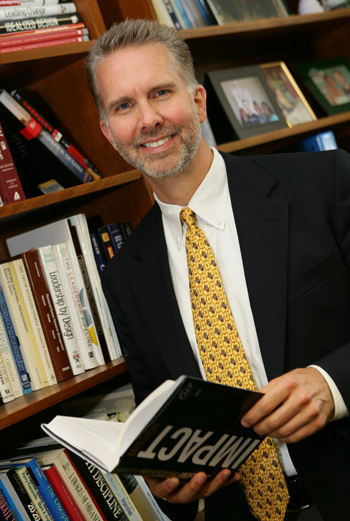 He has directed custom-designed executive education programs through the James MacGregor Burns Academy of Leadership and the Robert H. Smith School of Business, both at the University of Maryland-College Park. Rob has been an active member of the Association of Fundraising Professionals (formerly National Society of Fund Raising Executives) since 1986, when he attained the association’s CFRE designation. He has served as President of the Central Ohio and East Central Illinois Chapters of AFP, and is currently a member of the Washington DC Metro Area and Maryland Chapters of AFP. He is an active member of ARNOVA (Association for Research on Nonprofit Organizations and Voluntary Action) and the Academy of Management. He has been published in both leading nonprofit research journals: Nonprofit and Management Leadership and Nonprofit and Voluntary Sector Quarterly. Rob has been an active volunteer and donor for a wide variety of nonprofit organizations and currently serves as Chair of the Board of Trustees of LeaderShape, Inc.